Acute pain is your body’s way of warning you about an injury that needs to be taken care of. With chronic pain, pain persists long after the injury has healed. Pain signals keep firing in the nervous system for weeks, months, even years. Chronic pain can follow and actual injury that has healed, such as a sprained back or serious infection, or there can be an ongoing cause of pain, such as arthritis or cancer, and someone can also experience chronic pain without any past injury or ongoing illness. The experience of pain involves multiple and interactive neural pathways that influence pain signals at several levels at once: the sensory organs, the spinal cord, and the brain at both the cortical and subcortical levels. Pain pathways become stimulated by painful stimuli and, with repeated stimulation, these pathways can become altered and start firing independently of a painful stimulus. With repeated exposure to certain stimuli, a person becomes more sensitive to the stimuli and responds with greater and longer lasting pain. These changes in the brain, in turn, affect the endocrine and immune systems of the body. Through these multiple and interacting pathways, pain becomes amplified, it triggers more neural networks, and it becomes self-sustaining and resistant to treatment. These events result in disturbances of mood, sleep, energy, libido, memory/concentration, behavior and stress tolerance. The neural pathways that are involved in pain sensation overlap the pathways involved in depression. So pain not only stimulates sensory areas of the brain, but activates emotional centers as well, resulting in depression, anxiety and fear. In addition, depression activates brain centers involved in pain sensation. Evidence shows that the experience of pain is linked to EEG, or brain wave, activityTeaching patients to alter EEG activity to reflect activity that has been shown to be associated with reduced pain may be promising. More intense pain sensation has been associated with a decrease in alpha activity and an increase in beta activity. Acute pain relief has been associated with decreases in beta and increases in alpha activity. Decreasing some types of medically-related pain has also been associated with rewarding SMR activity, a special frequency of low beta activity, and inhibiting theta activity. Research applying neurofeedback to the treatment of pain has included multiple chronic pain conditions, including chronic back pain, peripheral nerve injury, pain from cancer, fibromyalgia, trigeminal neuralgia, migraine headaches and complex regional pain syndrome. 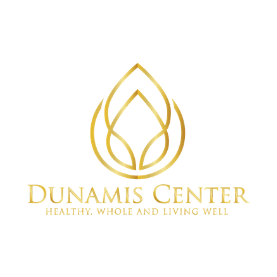 We tailor the treatment to each patient’s unique situation and responses to the training. The training usually involves enhancing alpha and SMR activity and inhibiting theta and beta activity in different regions of the cortex through neurofeedback training. Much of the evidence for the use of neurofeedback to treat chronic pain can be found in the following journal article: Jensen, MP, Sherlin, LH, Hakimian, S & Fregni, F (2009). Neuromodulatory approaches for chronic pain management. Journal of Neurotherapy, 13, 4 pp. 196-213. All veterans that want to have the VA pay for Neurofeedback, please call the Choice program at 866-606-8198, and they will advise you on the next steps. 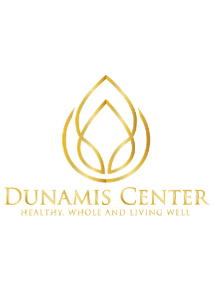 Advise them that you want to see Jill Shepherd Piercy Clark at Dunamis Center and they will send the referral to us, and we will contact you at that point.